The operation of worm gear motors can be broken down into two stages. Essentially, an electric motor provides the power to rotate the worm or screw gear. 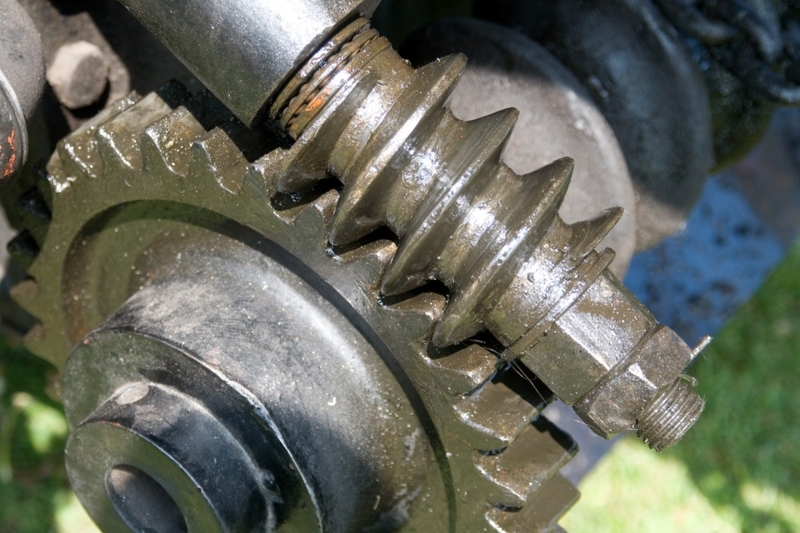 As the worm gear turns, it also turns the main gear, allowing for motion and torque to be produced. The first part of worm gear motors is the worm gear itself. This consists of a shaft with threading that spirals itself on the shaft. This worm gear is set into the splines of another gear. The rotational speed of the worm gear would in turn rotate the gear it is attached to. The second part of the motor, as the name suggests, is the motor. The motor is attached to the worm gear, turning it at different speeds depending upon the amount of torque produced by the main gear. Reduction Ratio. With worm gear motors, the reduction ratio is quite huge. This means that a small turn of the worm gear can turn the main gear quite a distance. This can allow the user to either decrease speed and at the same time increase torque. The reduction ratio produced by worm gear motors is comparable to several stages of reduction in regular gears. Reverse Power. The strength of the worm gear motors lies is in its limitation in reversing power. Thus, the gear always moves in just one direction. This simplifies the whole set up without need for a backstop. In a standard gear set up, reversing the power would require a backstop, requiring more components in the machine. Worm gear motors work by using a worm gear attached to a motor to move the main gear. This set up is ideal for a machine requiring a massive reduction ratio, meaning more torque for less speed. Secondly, the simplicity of the set up avoids the need for unnecessary gears in its operation.